243. 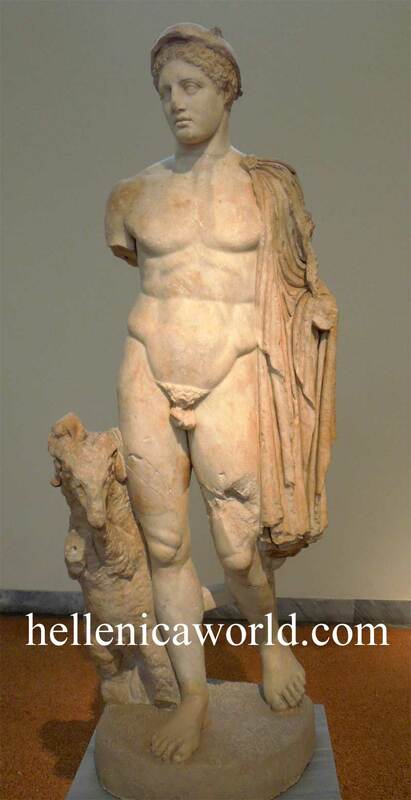 Statue of Hermes. Pentelic marble. Found in Troezen. The god is shown naked with a chlamys. horns of a ram that is shown next to him, seated on its hind legs. 2nd century AD copy of a late 5th century B.C.